Gorilla Hub Covers UNIVERSAL - Dezod Motorsports Inc - Home of the automotive performance enthusiast since 2002. 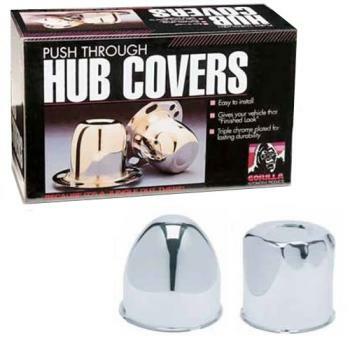 Gorilla offers more than 50 different sizes of hub covers that cover the most popular wheel applications. Gorilla Hub Covers are manufactured from the finest materials and to the highest quality standards. With your choice of chrome plated steel or stainless steel and are available in both Push-Through and Derby styles.